I love the sea, who doesn’t? Swim in, listen to, sit by and watch, smell, birds, waves, colors. My sea is the Baltic sea. It might not be as clear and warm as the Mediterranean, but it’s mine and I like it. It’s located 200 meters from where I live, a small bay. Sometimes I go there and sit and watch. When I grew up, our country place was located by the sea, out in the archipelago. 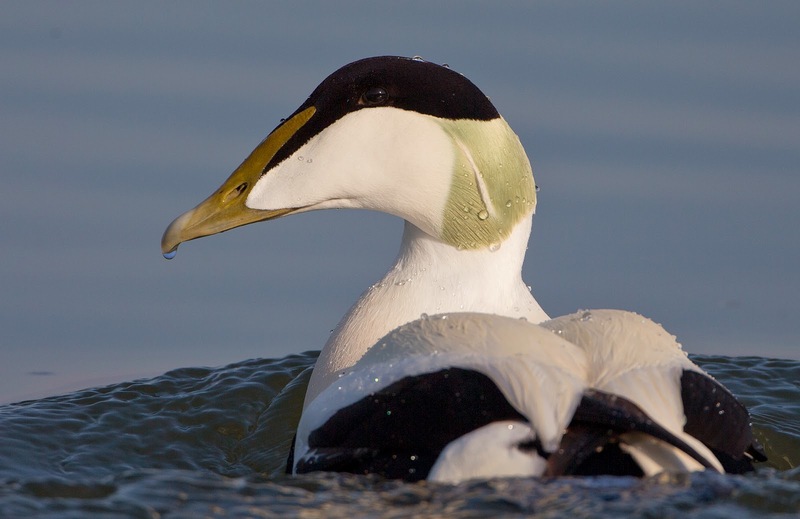 I regularly took boat trips, visit islands, had look around and everywhere you looked you could see Eiders – this lovely little sea bird, especially compared to all the Seagulls. Today, I haven’t seen and Eider in years. They are dying and no one really knows why (although there are theories). It has now made it into the Red List for threatened species and it’s shocking how fast it went. The Baltic Sea is one of the planet’s largest bodies of brackish water. A mixture of salt water from the North East Atlantic and fresh water from surrounding rivers and streams blends in a highly sensitive and interdependent marine ecosystem, which also makes it vulnerable. It is one of the most threatened marine ecosystems on the planet as it homes seven of the of the world’s ten largest marine ”dead zones” – areas where the sea’s oxygen has been used up by seabed bacteria (that decompose the raining mass of dead algae), making it impossible for other animals to live there. 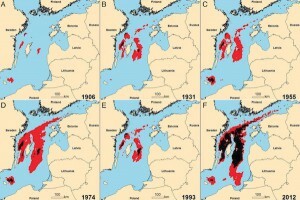 These ”dead zones” have now becom e the size of Denmark, which might not seem that big but to a tiny sea like the Baltic it’s huge. The Baltic Sea is also surrounded by nine countries and 90 million people. Many of these people rely on a healthy Baltic Sea for their food and incomes, and many more treasure it as an important space for nature and leisure activities. I am one of these. Anthropogenic nutrient discharges are the primary driving factor behind the ”dead zones” and can attributed to the use of fertilizers, large animal farms, the burning of fossil fuels, and effluents from municipal wastewater treatment plants. The usual stuff. I originally posted this text at Gods Jukebox (a forum for music lovers), combining my love of music with my interest in sustainability issues. The song that went with this post was ”Song of the Sea” by Luzy O’Connell.